Labor & employment topics to keep your team happy campers. Report to base camp on Oct. 31 for a labor and employment adventure! 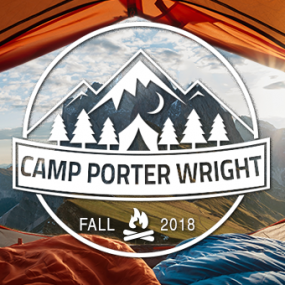 The Porter Wright trail guides will equip you with the labor resources you need to fill your packs at this half-day program. Let's explore the legal employment wilderness, but make sure to avoid potential pitfalls on the route. A decision by the U.S. Supreme Court earlier this year held that class action waivers in employment arbitration agreements are enforceable, thus resolving a long-standing open question concerning the extent to which employment arbitration agreements will be enforced by courts. This presentation will focus on the pros and cons of employment arbitration agreements and the options available to employers. Under the current administration, federal agencies have undergone several changes. This session will bring attention to new or updated policies and procedures within the Equal Employment Opportunity Commission, the Department of Labor, USCIS (United States Citizenship and Immigration Service), Immigration and Customs Enforcement, and others. What actually happens when a company experiences a network intrusion and data breach? Porter Wright attorneys and industry experts will guide you through an interactive program – from initial detection to post-resolution and future preparation.